If you were injured by someone else's careless or negligent actions (or lack of actions), it is time to consider pursuing a personal injury claim through civil court to seek compensation for your damages. Personal injury lawsuits are best approached by meeting the standard requirements and timelines for each phase of a claim. Lawyers on both sides of a personal injury case know that jury verdicts are unpredictable, so the majority of payouts are the result of an out-of-court settlement with the at-fault's insurance carrier. You also may be directed by the court to pursue mediation prior to considering your case for trial. Preserve Valuable Evidence - Pictures are worth thousands of words. If you are able, take photos of the accident scene or ask someone else to. The more evidence you preserve the better your chance of winning. Seek Medical Treatments - Even if you are unsure about injuries, you should seek immediate medical diagnosis and treatment. Your doctors will document your injuries and create a preliminary treatment plan. Be Aware of Statement Seekers - After an accident the defendant's insurance company will contact you to obtain info about your claim and damages. 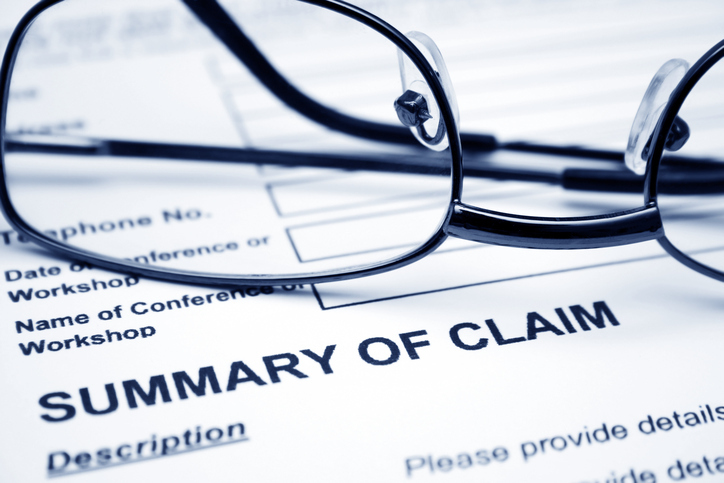 Cooperate but avoid making statements that might diminish the value of your claim. No Social Media Comments - Do not share any information regarding your accident (or injuries) on social media websites. Keeping your friends and family posted online can provide valuable data for the other side. Seek Legal Advice - Only a personal injury lawyer can accurately investigate, document, present and represent your tort lawsuit. Give your attorney time by pursuing legal advice in a timely manner. Avoid Temptation of Early Offers - Insurance adjusters are good at their job and will often contact the victim quickly with an offer that is normally well below what your attorney's calculation of damages will be. Never Wait for Deadlines - Don't tell yourself that you have plenty of time to determine your best course of action. Accident investigation and documentation should begin immediately before valuable evidence is lost. Calculate All Future Damages - If you get sloppy in calculating damages (including unforeseen expenses or future losses), you can end up agreeing to a settlement that may not pay tomorrow's bills. Be Respectful in Court - Whether you are participating in a session for mediation, actively negotiating a settlement, or representing your lawsuit in court, be respectful of all aspects of the judicial process. Investigating, calculating, documenting, presenting and representing a personal injury lawsuit in tort court can be tricky. Not only do state statutes differ by type of claim, so do the liability policy provisions of the at-fault's insurance coverage. When it comes to getting the largest settlement for your damages, an experienced personal injury lawyer standing up for your rights will likely produce the best outcomes. Although most cases do not go to trial, our attorneys are always prepared to pursue the maximum compensation for your damages. The more serious your injuries and medical costs, the higher the expected settlement, but your attorney will advise you on how the defendant's insurance policy limits might affect your compensation. Don't leave thousands of dollars on the negotiating table, contact the law offices of Schackow & Mercadante to speak directly with an attorney who can discuss the details of your tort claim.